A cracked tooth can present symptoms similar to other dental emergencies, and, in almost all cases, a cracked tooth will be painful. A common presentation of symptoms would include: it hurt while chewing, but the pain feel localized to a tooth, to a localized position on the jaw; when the chewing stops, the pain subsides or goes away completely. Now, say you have these symptoms, and you’ve looked in the mirror to check for a line down the tooth, a fracture or crack, something noticeable, but there’s nothing there? What should you do? Obviously, if you have pain in your teeth, or localized on the jaw near your teeth, you should consult your periodontist. Not always will you see a fracture or crack on a tooth. Oftentimes, a cracked tooth could have a hairline fracture, something so small it may not even show on the X-Ray. Causes of a cracked tooth vary, however chewing hard foods such as nuts, ice, hard candy, etc., are likely culprits. You can also damage a tooth playing sports, or maybe you’re someone who grinds their teeth; it’s possible even, when a set of teeth are not properly aligned to have bite problems that cause a cracked tooth. You might be wondering now, just how will your cracked tooth be fixed, knowing now that even an X-Ray may not show the exact location of a fracture. There’s a few options, and they differ depending on the severity of the crack. The simplest methods are bonding the tooth back together, sealing the crack, and, or, a root canal treatment to seal the tooth back up again. 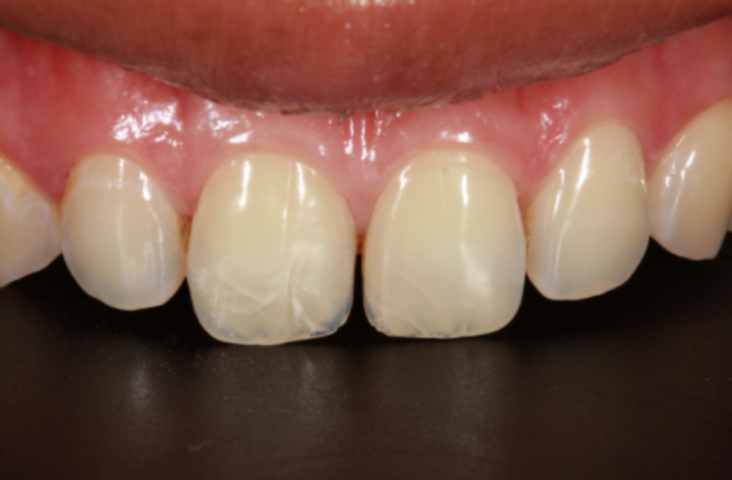 It is possible, however, that a crack be too great and the tooth should be removed, however your periodontist, Dr. Manhart, will be able to determine the best course of treatment when you visit. And if you are suffering from tooth pain, don’t let it persist, call the office immediately. A cracked tooth is a common dental emergency, and, often, it is easily fixable, so you shouldn’t have to suffer through the tooth pain. If you have a cracked tooth, please schedule an appointment today with your Periodontal Specialist today!